Maximum savings. Minimal footprint. Genuine performance. When you need a part for your Mercedes-Benz, ask your dealer about Mercedes-Benz Genuine Remanufactured Parts. They offer all the quality you expect with considerable savings to you and considerable benefits to our environment. Using our remanufactured parts can reduce environmental impact by reusing materials that require less energy for production. Total typical savings can range up to 80 percent in material consumption and 90 percent in energy costs. **Core charge not included for Remanufactured. Prices are subject to change. 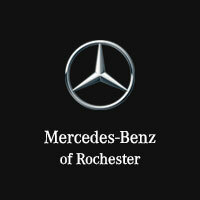 Check with Mercedes-Benz of Rochester for exact pricing.